AP ICET 2019 Hall Ticket: Sri Venkateswara University, Tirupati on the behalf of APSCHE, Hyderabad will invite applicants for AP ICET 2019 application form in the month of March. Candidates who will register themselves in a successful manner will be able to download their AP ICET Hall Ticket from the official website and it must be produced to the examination center on the date of examination. The official will not be going to send you the hard copy of admit card so must download it through the online process. The hall ticket is an important document to be taken at the examination center because it represents the candidate’s identification. 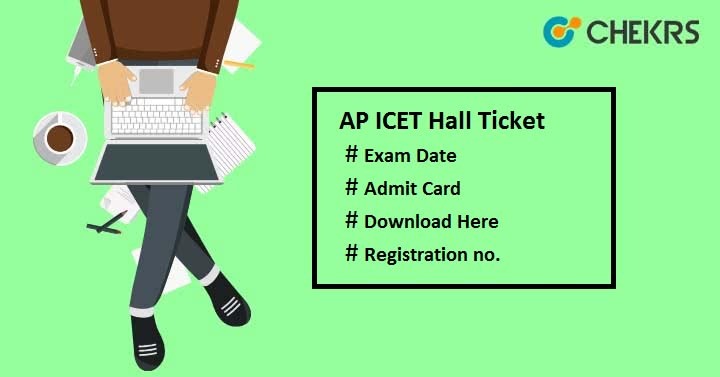 Candidates who don’t know how to download the AP ICET 2019 Hall Ticket need not to worry as here we have provided simple steps in order to access the admit card. Check the expected dates of AP ICET Exam Date here and start exam preparation accordingly. Click on “AP ICET – 2019”. It will redirect to the new page. Click on “Download HallTicket” option. Enter the Registration Number & Date of Birth and then click on “Download Hallticket” button. The “AP ICET 2019 Hall Ticket” will appear on the screen. Cross verify the details printed on it and save it. Take the print of the admit card while appearing for the AP ICET Exam. Entry to examination hall is prohibited if you do not take your admit card during the exam. The authority will not send the hard copy of admit card via speed post, so keep visiting the official site to get your admit card. Must bring one valid & original identity card along with the AP ICET Hall Ticket Download on the examination date. Read all the guidelines printed on the admit card and adhere them otherwise you may disqualify from the exam. For any further query related to AP ICET 2019 Admit Card contact to us. Write your query in the below comment section. We will try to solve your query. Good Luck!! !